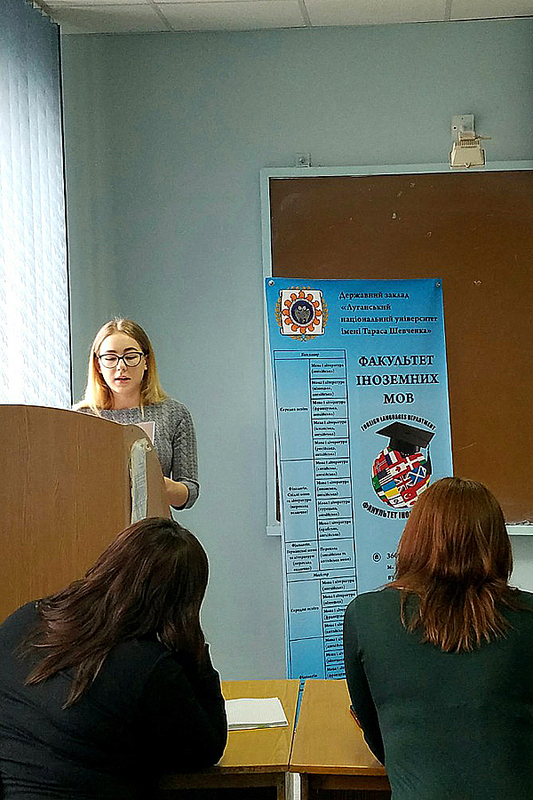 On the 15th of April IV All-Ukrainian Student Scientific and Practical Conference “Romano-Germanic Languages in the Modern Intercultural Space” was organized by the Department of Romance and German Philology at the Faculty of Foreign Languages of Luhansk Taras Shevchenko National University. 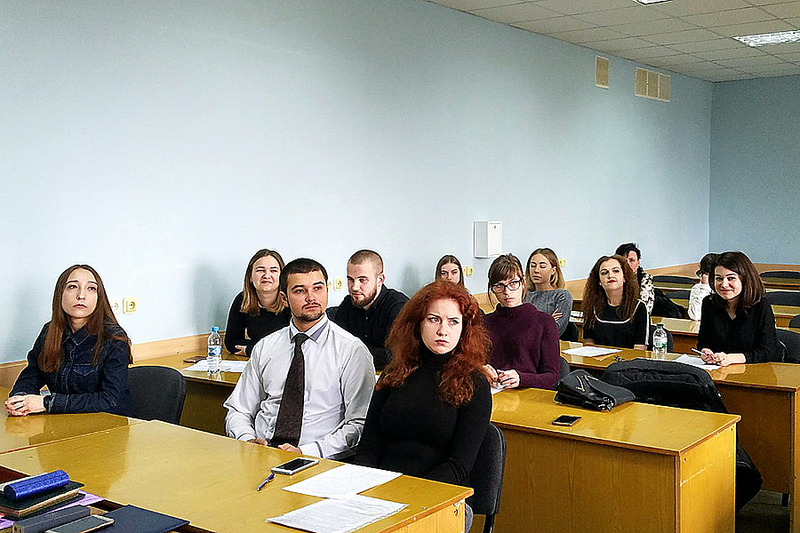 The conference was attended by students of such higher educational institutions as Kharkiv Aerospace University named after M. Zhukovsky, Kyiv National University of Trade and Economics, Kharkiv Humanitarian Pedagogical Academy, National Technical University of Ukraine “Igor Sikorsky Kyiv Polytechnic Institute”, National Transport University of Ukraine, Borys Grinchenko Kyiv University, Kharkiv Polytechnic Institute, Kyiv National Linguistic University, Ternopil V. Hnatyuk National Pedagogical University, Zaporizhzhya National University, Vinnytsia State Pedagogical University named after Mykhailo Kotsiubynsky, Vinnytsia Trade and Economic Institute, Ivan Franko National University of Lviv and others. 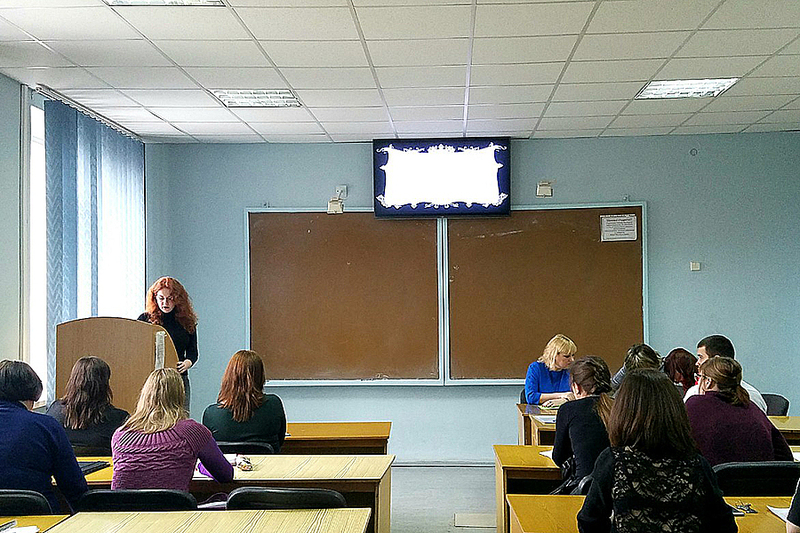 The conference was started with the greetings of the Dean of the Faculty of Foreign Languages S.O. Shekhavtsova. The Head of the Department of Romance and German Philology O.M. Byndas also congratulated the participants with the solemn opening of the conference. 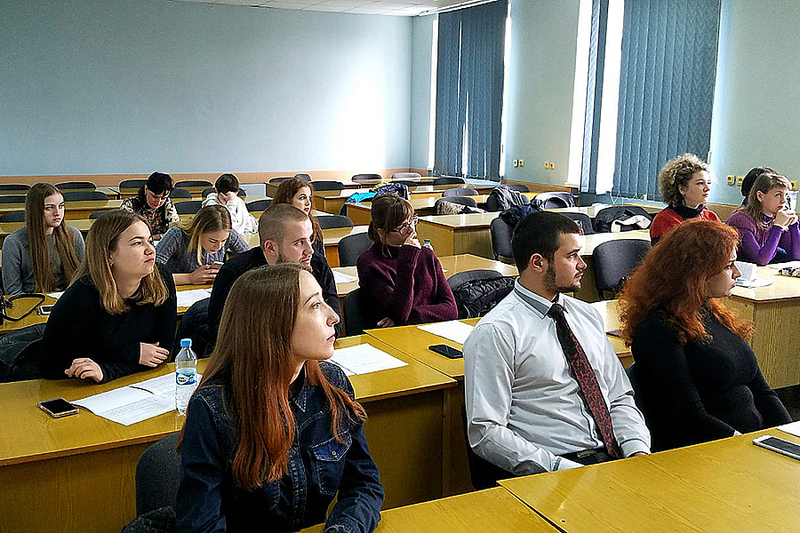 Some urgent topics were discussed at the plenary meeting, such as cooperation as one of the highest levels of coherence between the subjects in the process of studying foreign languages and international words in the vocabulary of the Ukrainian language. After the plenary session, several sections initiated work during which the participants had the opportunity to discuss the problems covered in their reports in the form of a dialogue, as well as to suggest ways to solve further scientific researches of young scientists. 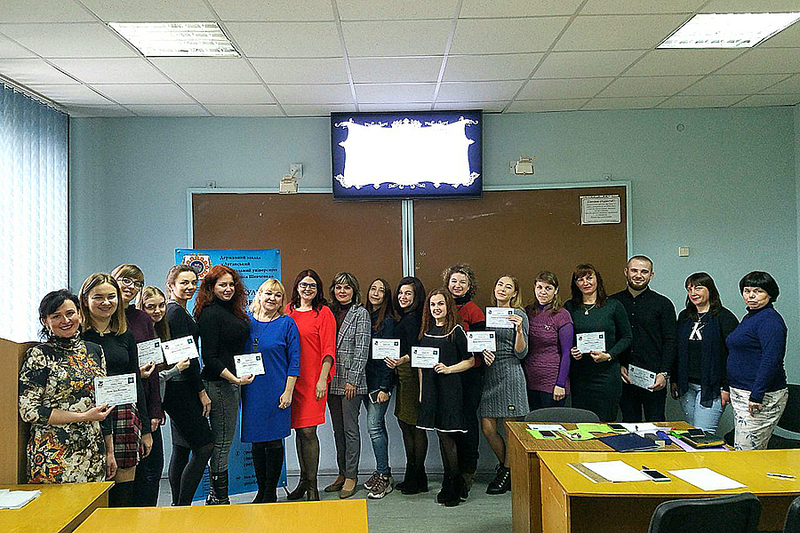 At the end of the IV All-Ukrainian Student Scientific and Practical Conference, certificates were handed to the participants. 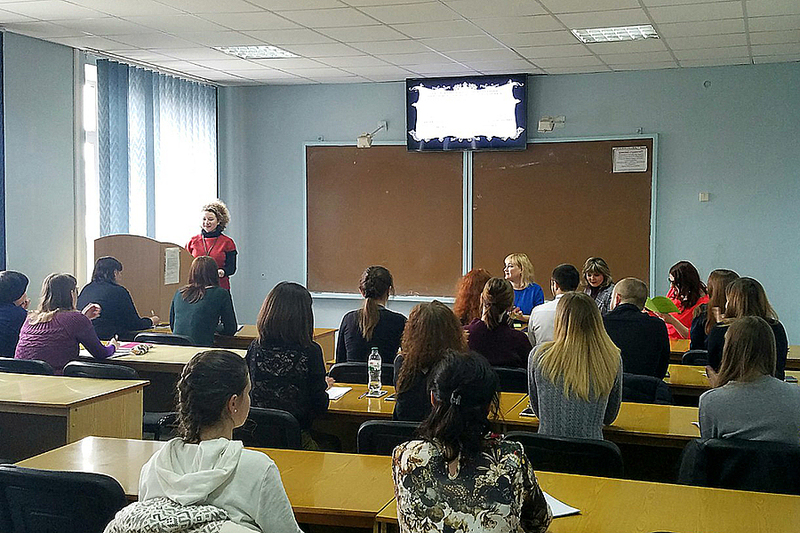 The department confidently continues the tradition of conducting student scientific and practical conferences at the Faculty of Foreign Languages and wishes the participants new scientific achievements, perseverance and new interesting research!